opening-up the opportunities for the ideas exchange on possible joint actions. Ashoka Changemaker Schools enable their students to become changemakers: young people with the skills and confidence to change the world for the good of all. Ashoka aims to catalyse changes throughout schools and the wider education system, so that every young person is provided with an education experience that is explicitly designed to foster changemaker skills. The Balkan Museums Network – BMN exists to celebrate, preserve and share the complex common heritage of the Balkans and to create, through cooperation, a strong, collective voice for Balkan heritage and the museum profession. The vision of the network is to promote widely museums as institutions of learning, discovery, inspiration, and agents of social change – owned and guarded by society, open to everybody and for the benefit of all. The BMN is mostly proud on its extensive capacity building of museum personnel throughout the region, resulting in simultaneous traveling exhibition titled ‘1+1, Life & Love’ (2011); Four “Meet, See, Do” annual museum conferences since 2013; funding of 30 small museum projects through the grant scheme; supporting access and inclusion and establishment of the Balkan Museum Access Group; Virtual exhibition “My Museum and Me” (2016). At the moment, Network gathers over 40 institutional and 20 individual members and is constantly growing. Bootstrap is a set of integrated curricula that bring computing to diverse educational settings, including algebra, physics, and statistics. The curriculum is backed by a strong research team with demonstrated results of transfer. BEST EN is an inclusive and collaborative network of tourism academics and practitioners committed to furthering the creation and dissemination of knowledge within the field of sustainable tourism. Class Central helps learners Find, Plan, and Track their Online Education. As the most popular search engine for online courses and MOOCs, Class Central presents curated and student-reviewed high quality courses to help learners make informed online learning decisions. With a simple interface and thousands of reviews, we have helped 12 million people decide which online course to take next. We are building an ecosystem to help guide learners towards their educational goals. The Cultural Heritage without Borders (CHwB) foundation, Bosnia and Herzegovina is dedicated to protection, preservation and promotion of cultural heritage of Bosnia and Herzegovina. Since the establishment, CHwB has implemented more than 40 projects in Bosnia and Herzegovina, including restoration works at sites across the country and projects aimed at raising awareness about the importance of protection, preservation and promotion of common heritage. Originally established in Sweden in 1995 by cultural heritage experts in order to provide assistance in the restoration of war-torn heritage in Bosnia and Herzegovina, CHwB today works in more than 10 countries across the globe – a Network of independent CHwB organisations which are located in Albania, Bosnia and Herzegovina, Kosovo and Sweden. 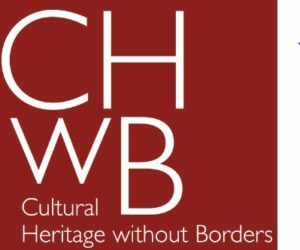 CHwB is dedicated to rescuing and preserving tangible and intangible heritage affected by war and decay, caused by human or natural factors. Through projects in the Western Balkans and across the globe, CHwB advocates equal rights of all people in their participation in, and enjoyment of, culture and cultural heritage. Danube:Future is a joint contribution of the Danube Rectors’ Conference (DRC) and the Alps-Adriatic Rectors’ Conference (AARC), thus tapping the largest pool of institutionalized knowledge in the Danube River Basin – DRB. Based on this network, interdisciplinary research and education in the DRB will be undertaken. Any path towards a sustainable future of the region has to account for the solution of pressing socio-ecological issues. Danube:Future is a Flagship Project of the EU Strategy for the Danube Region (EUSDR), Priority Area 7, “To develop the knowledge society: research, education and ICT” but it has strong links to other Pillars and Priority Areas such as Cultural Heritage, Water Quality, Biodiversity or People and Skills. Danube:Future organizes interdisciplinary, international Schools for PhD-students and young post-doc researchers. In 2015, a White Paper on Integrated Sustainable Development of the Danube River Basin was published. In 2016, the Danube:Future Knowledge Base was launched. It offers e.g. English summarizes of grey literature or publications available only in national languages. Between its source in the Black Forest and its mouth on the Black Sea, the Danube traverses 2,872 kilometres and shares shores with ten countries. The Danube Rectors’ Conference (DRC) is a strong network of almost 70 universities in this region. Our aim is to improve higher education in teaching and research, and the advancement of our member universities by establishing sustainable contacts. Dare to Learn brings together over 4000 learning enthusiasts from different sectors of learning to share their visions and ideas with each other. Dare to Learn connects people that have eagerness and expertise in rethinking learning and human development under one roof. Our annual event A Festival for Rethinking Learning takes place in September in Helsinki, Finland. We create a space for people to rethink learning through activating program by offering a carefully designed learning path and intriguing themes of future learning. During the event participants get to take part in co-creative, solution-oriented and exciting program: international keynote speakers, active workshops, interesting roundtable discussions and much more. Dare to Learn is organized by Sivistyskiihdyttämö ry, Helsinki – a non-profit organization consisting of young professionals who share the passion for lifelong learning. 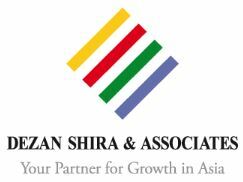 Dezan Shira & Associates is a specialist foreign direct investment practice that provides business intelligence, due diligence, legal, tax, and advisory services throughout China, Southeast Asia, India, and Russia. For assistance with Asia investment issues, please contact us at info@dezshira.com or visit us at www.dezshira.com. Asia Briefing, a subsidiary of Dezan Shira & Associates, produces material for foreign investors throughout Eurasia, including ASEAN, China, Indonesia, Russia, the Silk Road, and Vietnam. For a complimentary subscription to our products, please click here. The eMunicipalities Without Borders Mayors Consortium was established on June 30, 2015 (eMunicipality without borders, eComune senza confini, eGemeinde ohne Grenzen, eÖnkormányzat határok nélkül, eOpština bez granica, eObčina brez meja). The mayors are sharing interest in a single structure of the municipality website in English language to be developed for business professionals, tourists and visitors in other countries. A particular attention is devoted to the interlinking with the SMEs on the territory of a municipality. The eMunicipalities in the neighboring countries are invited to join the consortium. eEnterprise Slovenia (Slovenia Incorporated) is a network of organizations in Slovenia having interest in doing a cross-border eBusiness with the organizations in the eRegion: Danube, Adriatic-Ionian, or Alpine eRegion. Involved are companies, IT providers, national and local administrations, chambers of commerce and academia. Particular focus is at SMEs. The eEnterprise is open to increased efficiency of existing business processes and/or to creation of new business relations. The Enterprise Europe Network brings together business support organisations from more than 50 countries. They are connected through powerful databases and know Europe inside out. What’s more, they have been working together for years, some even for decades. You’ll be amazed at how well your local Network contact point is connected in Europe, and even beyond. An accelerated development of numerous activities along the New Silk Road is opening-up new opportunities and new tasks for the organizations of all types. A higher level of cross-border eCollaboration is required in order for the regions to catch-up with the development. On October 10, 2015, the eRegions on the New eAmber and New eSilk Roads Think Tank has been formed. The eRegions on the New eAmber and New eSilk Roads Think Tank is expressing interest in interlinking with the Think Tanks of a similar nature being active on the New eAmber and New eSilk Roads. The aims of this initiative are to show how people can bring ideas to life with code, to make programming more visible and bring motivated people together to learn. Anyone is welcome to organise Code Week events and all event organisers – schools, non-for profit organisations, businesses, libraries, code clubs etc. – add them to the codeweek.eu map that serves as a catalogue of coding initiatives. Since 2013, the Code Week initiative organised more than 50.000 coding events in +50 countries in and outside Europe. In 2017, around million people participated, out of which half were girls or women. Europa Nostra is a pan-European Federation for Cultural Heritage, representing citizens’ organisations that work on safeguarding Europe’s cultural and natural heritage. It is the voice of this movement to relevant international bodies, in particular the European Union, the Council of Europe and UNESCO. Europa Nostra’s network covers almost 50 countries across Europe and beyond. It is composed of over 250 member organisations (heritage associations and foundations with a combined membership of more than 5 million people), 150 associated organisations (governmental bodies, local authorities and corporations) and also 1500 individual members who directly support the mission of Europa Nostra. to animate a network of cultural heritage stakeholders in Europe. Priority Area 07 “To develop the Knowledge Society (research, education and ICT)” is coordinated by Slovakia and Serbia, with the involvement of a wide network of key players. Published is information on main activities, projects and actions in the field of knowledge society in the Danube Region, latest news and upcoming events on the topic. 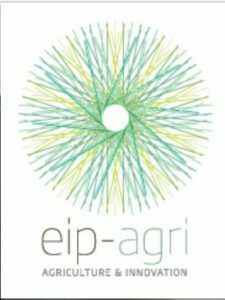 The agricultural European Innovation Partnership (EIP-AGRI) works to foster competitive and sustainable farming and forestry that ‘achieves more and better from less’. It contributes to ensuring a steady supply of food, feed and biomaterials, developing its work in harmony with the essential natural resources on which farming depends. The EIP-AGRI focuses on forming partnerships and linking different actors (farmers, researchers, advisers, NGOs, businesses, etc.) in a network through different types of activities, and bridging the gap between science and practice. The EIP-AGRI network is run by the European Commission (DG Agriculture and Rural Development) with the help of the EIP-AGRI Service Point. Partner Group is a consortium of two local universities – namely, the Eötvös Loránd University (ELTE) and the Budapest University of Technology and Economics (BME) – and their leading industrial partners in informatics and telecommunications – Ericsson Hungary, Hungarian Telekom, Nokia Hungary and SZTAKI. The EIT ICT Labs Budapest Associate Partner Group is the only EIT ICT Labs (associate) partner located in the Danube macroregion. 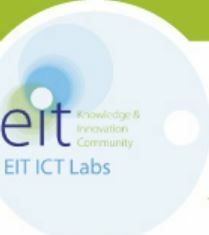 In the framework of the Outreach Programme, EIT ICT Labs develops partnerships with those member states of the European Union where the current EIT ICT Labs nodes are not located. Special attention is paid to the member states that do not currently have any EIT KIC presence at all, as well as to the Central and Eastern European countries. The purpose of the programme is to activate startups in the field of ICT, to provide opportunities for students, and to empower the academic and research sector in the focus countries. Open ENLoCC (European Network of Logistics Competence Centers) was established as a follow up of the “ENLoCC”-project and is an open network of regional logistics competence centers in the field of logistics, run by public authorities or similar bodies. The main task of the network is the international exchange of experience and knowledge between its participants and the promotion of a higher level of cooperation with European institutions. Its members work together on common projects with the aim to develop the regional economy by solving infrastructural, organisational and technological problems of logistics and transport. The dissemination of the results of the network activities and the best practices take place on a wide scale, involving all the key bodies at EU level. The objectives of the network are to help the students to become an equal member of the e-global society and to continuously develop the schools’ programs. For the development, some additional resources are necessary which can be obtained also with the EU projects. Good ideas for the projects can be created with collaboration and networking. The aim is to find proper ideas for the foundation of the application to EU tenders and rethinking of the possible cross-border partners. What are the suggested ways for a grammar school to be involved in the cross-border eCollaboration? How could the informatics teaching, and the availability of the ICT technologies in the grammar schools be exploited for an accelerated eCollaboration in a macro region of the neighboring countries: the Danube, the Adriatic & Ionian, and the Alpine regions? How can the involvement of a grammar school in training of the cross-border eCollaboration contribute to the improvement of the school’s cooperation with the companies in its environment? How could the eCollaboration of the grammar schools impact the interest of the students to select informatics as the Matura exam elective subject? For solving of which joint cross-border eCollaboration problems would the grammar school principals in at least three countries like to cooperate? 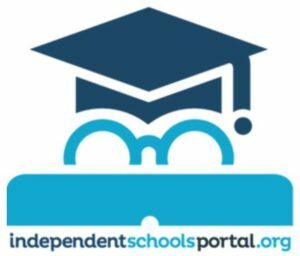 The function of the Independent Schools Portal is to ensure that all the schools we support are able to co-operate, share best practice and maximise the benefits of their collective scale. We engage with schools on different levels, from providing cutting edge technology to allow schools collaborate, to provide bespoke consultancy, specialist purchasing and marketing support, not to mention recruitment services of the highest quality. We work with any schools and students to help them prepare for undergraduate study in the USA and Canada. We are constantly working with colleagues and are always looking for practical ways to help overcome the challenges they face. We now engage with more than 12,000 teachers and senior leaders each week through the weekly newsletter, deliver unique events, provide online collaborative resources as well as promote independent schools through social media activity. In September 2017, we launched innovateED magazine and sent multiple copies to all UK independent and over 500 British international schools. NISPAcee was established in 1995 with the aim to promote the development of Public Administration education, training and research in post-communist countries. The current mission of NISPAcee is to promote and strengthen the emergence of effective and democratic governance and the modernization of public administration systems throughout the NISPAcee region (New Member States of EU, Western Balkan, Eastern neighborhood, Central Asia countries, Russia, Turkey) and transfer of knowledge and experience from the EU countries to the countries outside the EU.NISPAcee is a non-government, non-profit, international membership organization which includes almost 100 member institutions from CEE, Caucasus, Central Asia, western countries and almost 40 Individual members. Members and more than 2000 institutions and 5000 individuals from the database represent huge resource of knowledge and experience. Pantou has been developed to meet the need for a reliable and comprehensive international guide to all kinds of accessible tourism services, helping to make tourism everywhere Accessible for All. This online Directory provides information on suppliers of accessible tourism services, covering the whole tourism and travel value chain – with accommodation, attractions, museums, transportation, tours, equipment rental and personal assistance services – making tourism inclusive and accessible for people who have a disability, long-term health condition or other specific accessibility requirements. The site has been established by the Brussels-based NGO, European Network of Accessible Tourism (ENAT), with the help of EU funding in order to support Small and Medium-sized Tourism Enterprises in particular. To be listed with Pantou, tourism suppliers must indicate the type of service(s) offered and the particular target groups they can serve. Registration is free of charge. Besides being promoted in individual profile pages on the Pantou website, accessible tourism suppliers are also marketed at tourism fairs and promotional events across Europe. Pantou means “everywhere” in Greek. SAP values the essential role of higher education in advancing the future of information technology and business strategy. Since the company’s founding in 1972, SAP has supported leading universities in reaching their goals in teaching and research. In 1988 SAP formalized its higher education classroom initiatives under the umbrella of the SAP® University Alliances program. Today, SAP University Alliances provides a wide array of benefits and opportunities to more than 2.200 universities worldwide, to their students as well as to SAP customers and partners. Building the next generation talents for the digital enterprise. Empower students to better prepare for a successful career path and growth in the digital enterprise at SAP, SAP Customers, and Partners. Build the next generation entrepreneurs via the SAP Student Entrepreneurship Program. Drive innovation from academia and next generation users to the digital enterprise. China’s Silk Road initiative offers both opportunities and challenges. But what do they entail, and what are their implications for international trade and geopolitics? To facilitate the debate on the Silk Road initiative, the Clingendael Institute has initiated Silk Road Headlines, a news service which provides regular updates on news articles from open sources related to China’s Silk Road (One Belt One Road) initiative. The Transfrontier Euro-Institut Network (TEIN), formed in 2010, brings together 13 partners from eight border regions in France, Germany, Switzerland, Austria, Italy, Slovenia, Poland, Czech Republic, Belgium, Spain, the UK and Ireland. Its unique feature is that it consists of university departments, research institutes and training centres which are dedicated to the practical business of cross-border cooperation in Europe. The people involved in TEIN are real actors in cross-border cooperation. Their work involves cross-border training and facilitation, managing cross-border projects, providing mentoring, training and advice for cross-border actors, and researching cross-border cooperation. In this sense TEIN can be seen as representing a genuinely bottom-up approach.